There will be a floating market in Newbury from August 25th to 27th 2018 at 10am to 5pm. 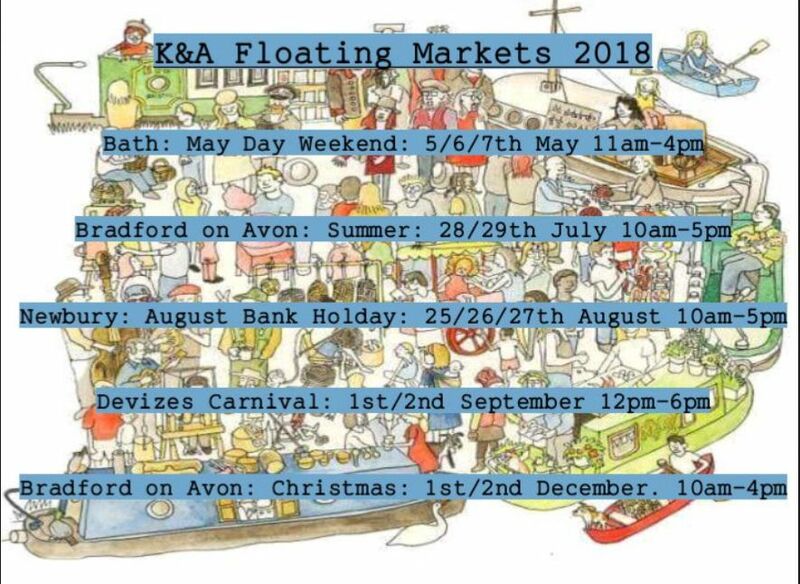 Head to the Victoria Park visitor moorings for high quality hand made arts and crafts, jewellery, food and confectionery from a variety of trading boats, some regulars and others who are new to the K&A, plus entertainment and more.This is the third of five floating markets this year. The next will be at Devizes on 1st and 2nd September, to coincide with the carnival, and a Christmas floating market in Bradford on Avon on 1st and 2nd December. This entry was posted on Thursday, August 16th, 2018 at 8:25 pm	and is filed under Community. You can follow any responses to this entry through the RSS 2.0 feed. You can skip to the end and leave a response. Pinging is currently not allowed.